Back in the days of the Big Ugly Dish… it was pretty hard to put together a system to provide TV service for an apartment complex, hotel, or RV park. Those big, black, five-meter dishes had to be pointed to different satellites all the time, and it was a real pain. Sometimes you needed two dishes or more just to provide the programming you wanted. Then along came DIRECTV and DISH, which use a single dish that’s much smaller. Direct Broadcast Satellite (DBS) dishes, as they were called, made it easy for homeowners to get satellite TV, and they made it easier for large systems as well. A lot of systems that once used big, ugly dishes started using DIRECTV or DISH instead. It was about that time that people started using the term “L-Band” to describe the smaller dishes. 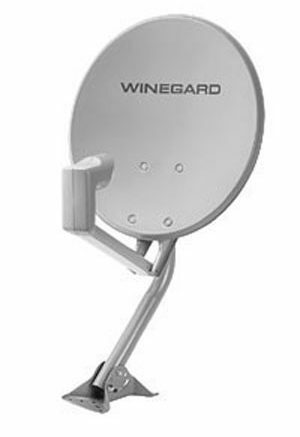 The term “C-Band” was used for the big, ugly dishes. (I guess the term “big ugly dish” wasn’t professional enough. L-Band and C-Band both refer to the frequencies being used as the programming travels through a cable. The terms themselves date back to World War II when they were used to confuse the enemy. When you hear of an L-Band system being used today, it tends to mean a “legacy” DIRECTV or DISH system. There will be no SWM or Duo Node, in other words. Just like the C-Band systems before them, L-Band systems are slowly disappearing in favor of the newest technology.